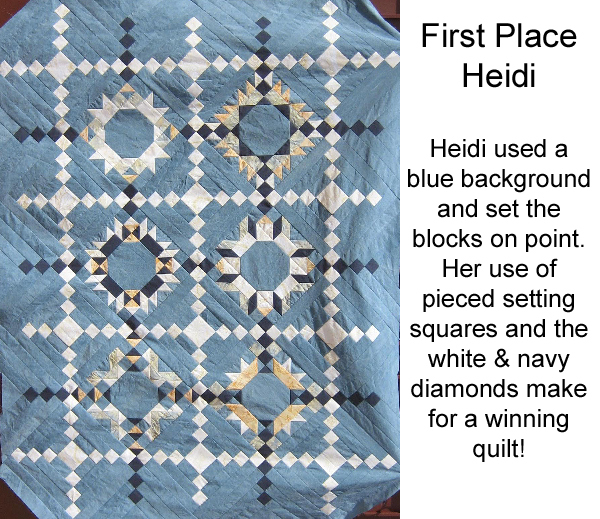 So, do you remember way back when when I announced the contest for our previous Free Block of the Month, Sew Sweet Simplicity? I got more entries than I ever imagined, and it was REALLY HARD to choose! In fact, I’ve decided that I may never host a contest again because it was so hard to choose just 3 winners! (LOL- you know I’ll have more contests, I’m just saying….) In addition to First, Second, and Third place winners, as originally announced, I also chose 3 “Honorable Mention” winners. And trust me, it was hard to choose just 6 total winners. I LOVED all of the entries, each showing so much creativity and care. THANK YOU, THANK YOU, THANK YOU for making this so much fun! Congratulations to all of the winners, and thanks to EVERYONE who sent in their photos! I hope you will all join us again for the Cozy Afternoon Free Block of the Month! 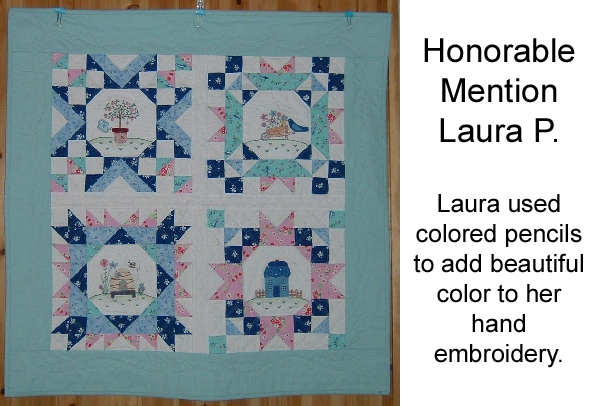 This article was posted in Block of the Month, Featured, Giveaways & Contests, Sewing & Quilting. Bookmark the permalink. Follow comments with the RSS feed for this post.Post a Comment or leave a trackback: Trackback URL. Congratulations to all of the winners. 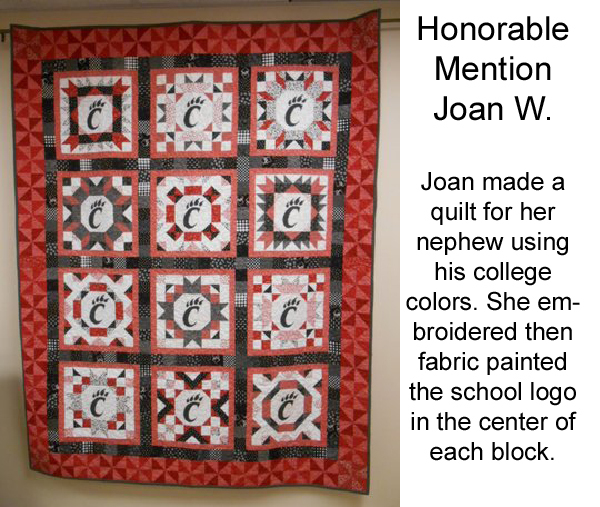 The block of the month was fun and it is great to see many of the fun ways the designs were used. Looking forward to starting the new BOM in June. Beautiful quilts. Congrats to all! Congratulations! The quilts are all very lovely! Congratulations to all the winners. I know why she had such a hard time picking a winner. They are all beautiful. The completed items from your Sew Sweet Simplicity Block of the Month are beautiful. Is there somewhere that I can get the pattern. I have just found your blog this last month so was not aware of this lovely project. 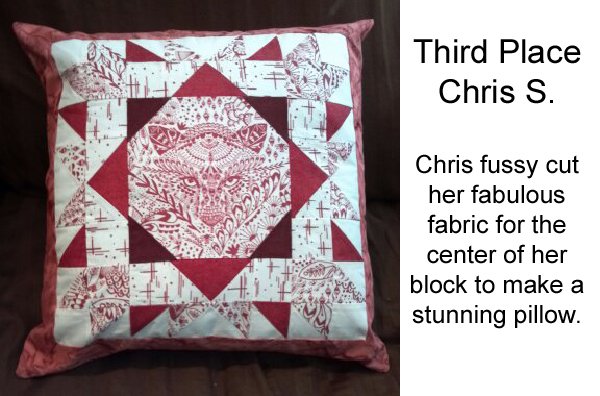 I have signed up for the Cozy Afternoon Block of the Month and am looking forward to doing the stitching. Thanks for such lovely projects. So glad you are joining us for Cozy Afternoon! Oh my gosh Jacquelynne, I am so excited and thrilled! 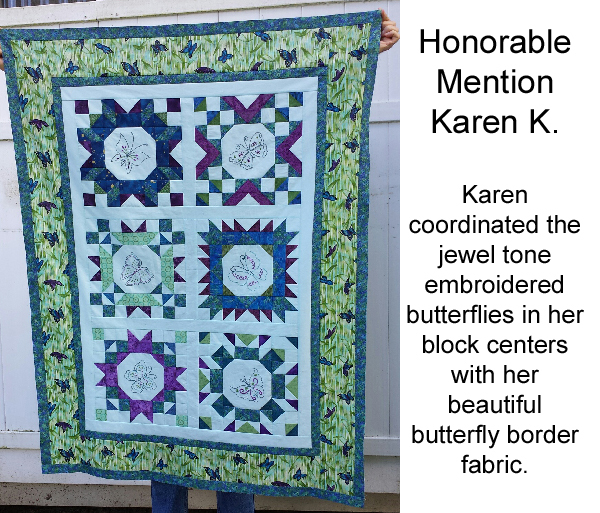 Look at all the beautiful quilts you inspired! 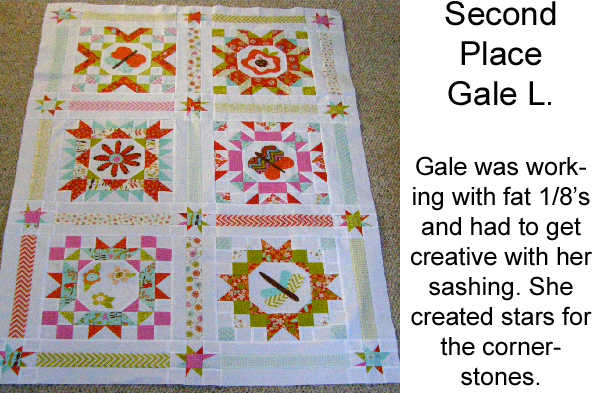 This was such a fun Quilt Along, I especially enjoyed seeing the blocks progress each month. Cozy Afternoon is a beautiful layout, I can hardly wait until the fun starts! Well done to everyone who won, it was so nice to do this BOM, thoroughly enjoyed it and can’t wait for the next one. Congratulations to all the winners! Such beautiful quilts. l am excited for the next BOM!! l can’t wait to get started!